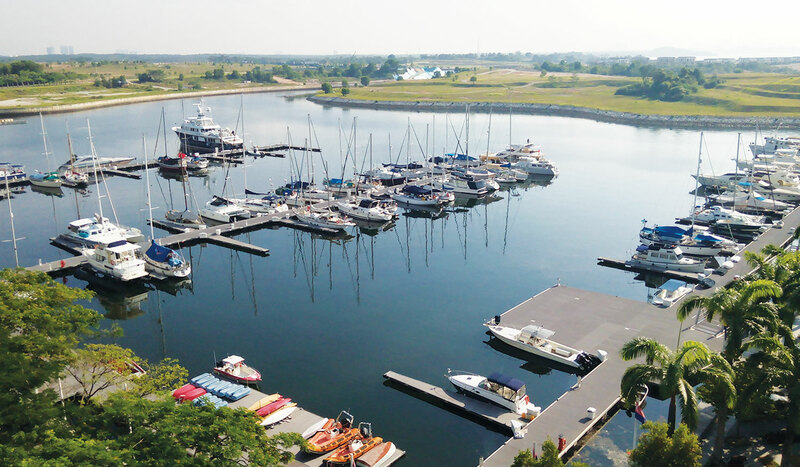 A metropolis in the making, known as Nusajaya City, encompasses Puteri Harbour – a premier waterfront and marina development. 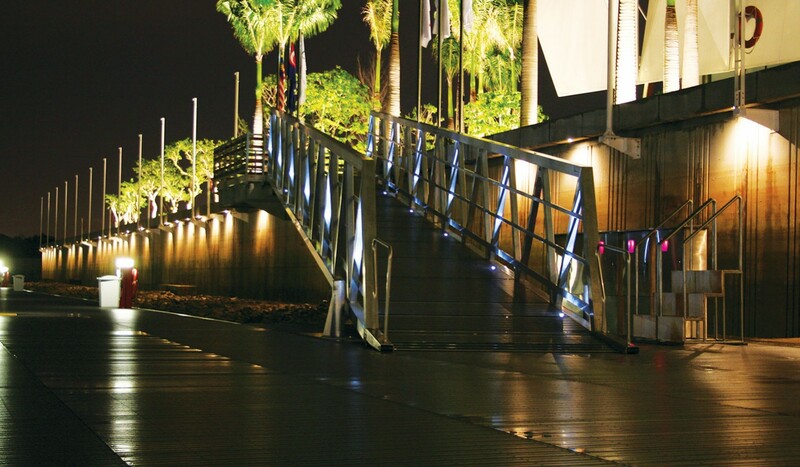 Puteri Harbour features another Structurmarine luxury marina with expansive walkways and generous spacing between fingers. 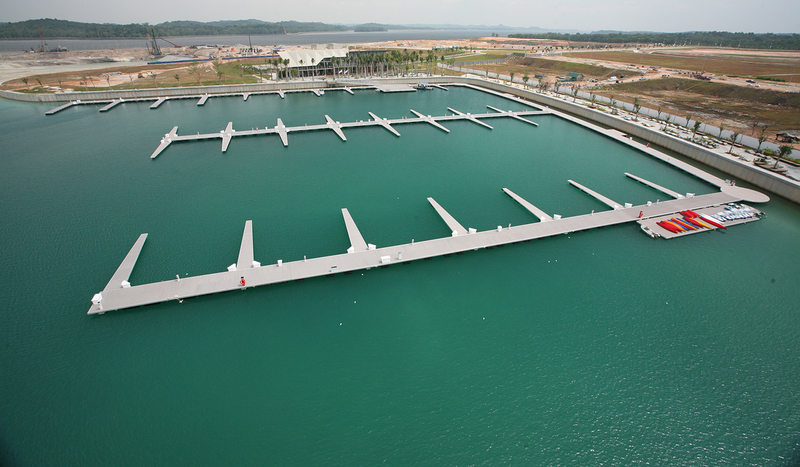 The outer pontoons are custom fitted to the curved basin walls accommodating a tidal variation of 4 m (13 ft). 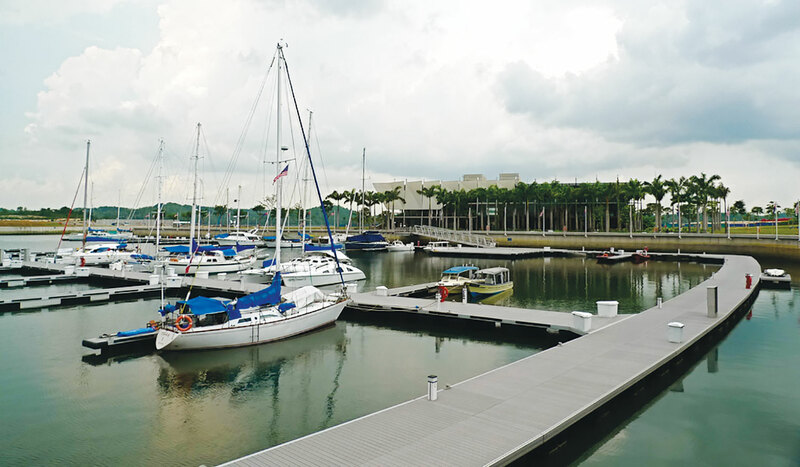 The underwater flexible anchoring is secured to heavy anchors, rather than pilings, giving the marina a more attractive setting for the docked yachts.